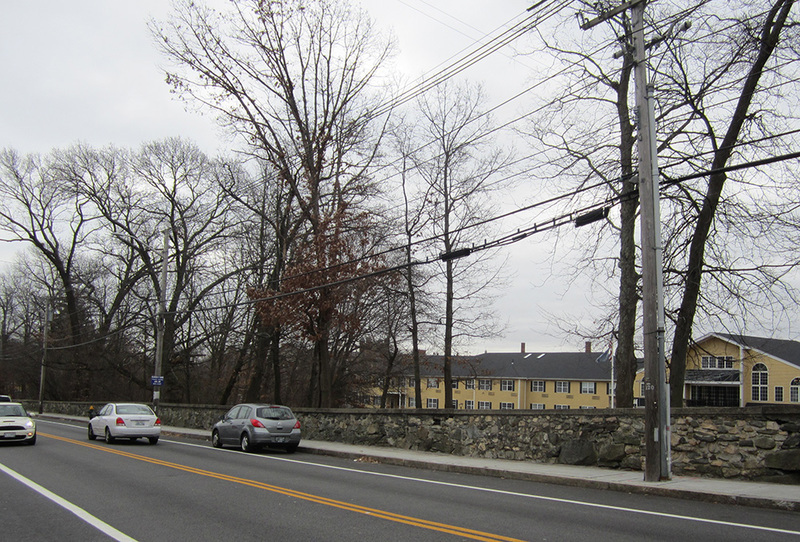 The large plot of land bordered by Smith Street, Wyndham Avenue, and Pleasant Valley Parkway has been built up heavily over the past 45 years, the rolling green lawns and forested glades replaced with siding-sheathed condominiums and a sprawling senior living community. The density of the remaining trees, a swath behind a stone wall bordering Smith Street, belies their relative youth, and the site provides an intriguing window into how open space itself can change over time. In the mid-19th century, the Elmhurst neighborhood was a rural area, with roads such as Chalkstone Avenue and Smith Street connecting far-flung farms. The area was a popular retreat for wealthy families wanting a peaceful respite from the bustling city, such as Dr. William Grosvenor, who built a house on this site in 1849. Grosvenor's estate included a distinctive Gothic Revival building on nearly 30 acres of land, surrounded by tall elm trees that cast their shade across the lawns and drives. 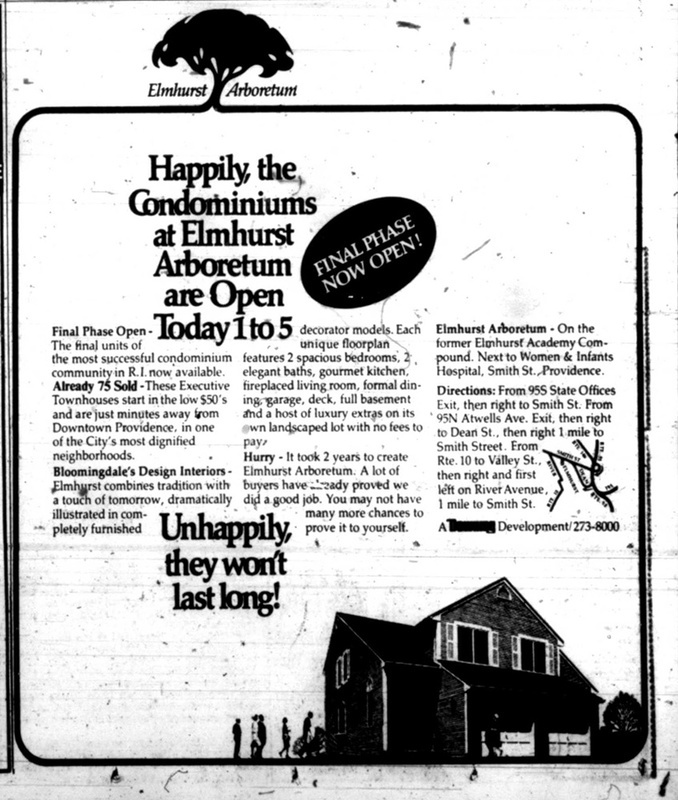 He called the place "Elmhurst," a name which was later adopted by the surrounding neighborhood. In 1872, the Diocese of Providence purchased Dr. Grosvenor's estate, whereupon the buildings became the home of the Elmhurst Academy of the Sacred Heart, a Catholic school educating young women from elementary through high school. 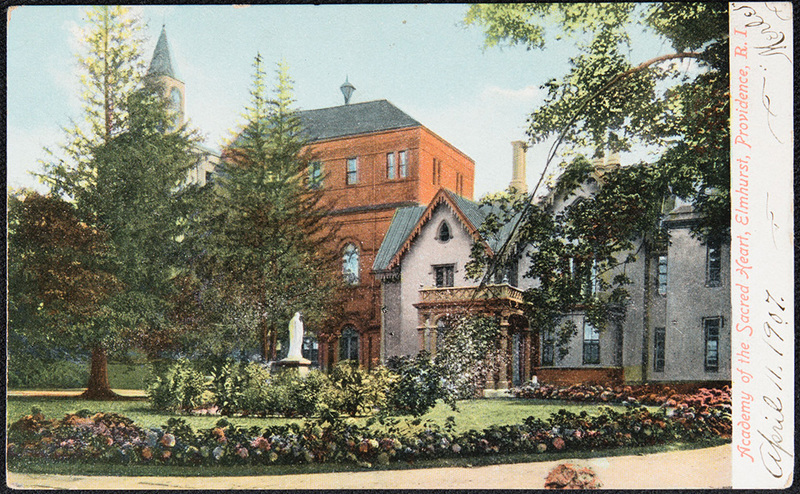 Residential development in surrounding Elmhurst boomed when public transportation reached the neighborhood in the late 19th century, but the grounds of the convent and academy remained a quiet, green space. The school remained in this location until 1961, at which point, with the buildings in need of extensive (and expensive) repairs, it relocated to Glen Farm in Portsmouth, RI. A newspaper article about the final graduation ceremony held on the Providence campus noted teary-eyed students posing for photos on "the soft green campus lawn in the shade of old brick and stucco buildings." The property changed hands several times before Providence College purchased it in 1966, planning to turn it into athletic fields or parking. After the college began demolishing the buildings, a "roaring fire" completed the work, engulfing the structure in flames so high and bright that they were visible from downtown Providence. Providence College eventually sold the property in 1975; a portion of the land was then developed into 49 stylish, two-unit condominiums with "a host of luxury extras" in a complex called Elmhurst Arboretum, stretching along Wyndham Ave where the chapel bells once rang. The formerly open, eastern portion of the parcel was turned into a senior living and care community in 1996, with rambling yellow buildings along a curved drive, and tidy lawns replacing the wilder open portions of Grosvenor's estate. 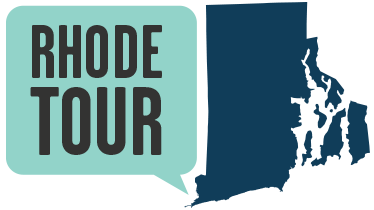 In addition to his country home at Elmhurst, Dr. William Grosvenor maintained a residence in the historic George Benson house on Providence's East Side. 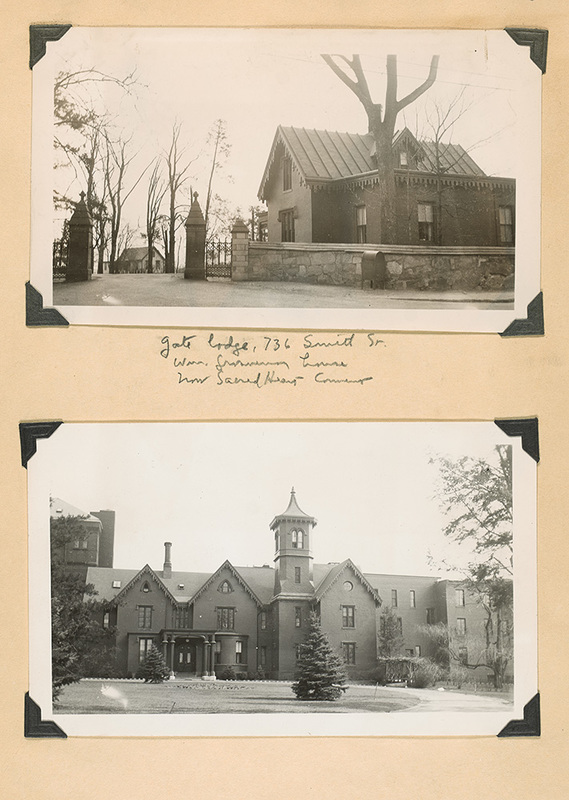 Angela DiVegilia, “Elmhurst Academy of the Sacred Heart,” Rhode Tour, accessed April 23, 2019, http://rhodetour.org/items/show/352. "Blaze Sweeps Landmark on Smith Street." The Providence Journal, May 6, 1967. "Condominiums are Sprouting where Students once Strolled." The Providence Journal, July 15, 1979. "Goodbye to Elmhurst." Providence Evening Bulletin, June 3, 1961. "Old Elmhurst Campus--It's Lonely and Sad." The Providence Journal, Nov. 20, 1961.